I haven't seen much of Keri Russell in my movie- or television-watching career, but I do admire her lovely laid-back sense of style and beautiful curly hair. 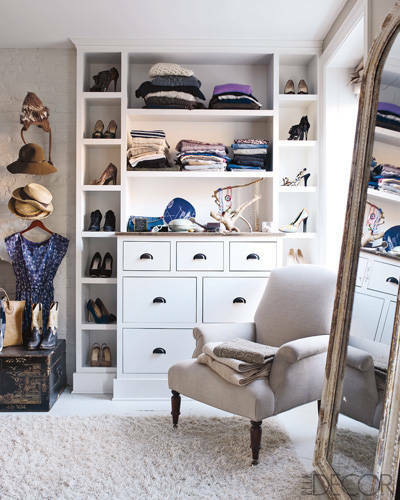 :-) When I found photos of her home on Elle Decor, I just knew that I had to feature it on All Things Luxurious. It is beautiful and simple -- not pretentious or over-stated; my favorite type of design. The sort of house you feel instantly at home and welcome in. That's what I love -- instant comfort, but immediate recognition of the fact that you are in a beautiful space. 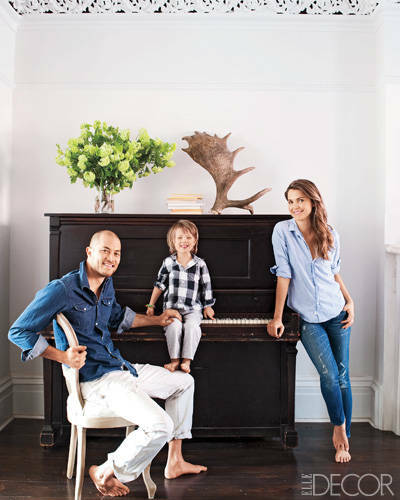 Here she is with her her family in her Brooklyn, New York home. How amazing is that piano? I have played since I was eight or so -- I would love to sit down with that beauty! Here is the master bedroom. I love that rustic natural wood side table and that glorious oversized bunch of branches. The cool colors of the room are accented by the organic materials -- love that! This is the dressing room. 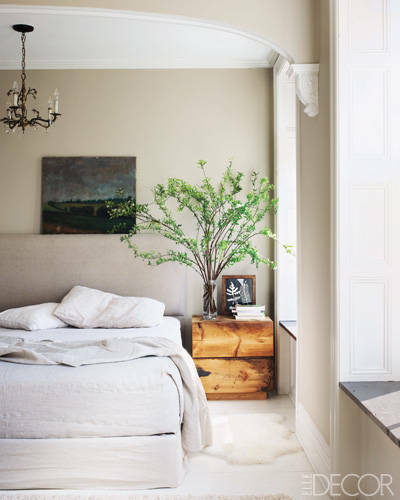 Totally cozy -- a room with literally no intimidation factor -- natural textures and a soft color palette. I think it's perfect. This is a dining room that I migrate back to over and over again. I think the chairs are my favorite part, or perhaps that the color palette is rather dark, but because the space is so filled with natural light, it appears peppy and full of life. And the touch of whimsy with the chandelier -- beautiful. 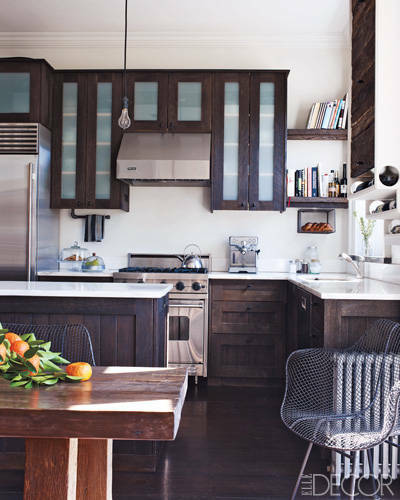 A kitchen, filled with dark woods, gleaming white countertops, and stainless steel -- yes! And how sweet is that little nook where Keri's cookbooks reside? All luxurious furniture in here, people -- nothing but upholstered, cushion-y goodness. And the touches of nature brought indoors are, again, quite possibly my favorite thing in this room. Okay -- time for the what's-your-favorite-part game! I think mine would definitely have to be that dining room. I just can't get enough! Oooooh I love this! I think the living room is my favorite part with the all of the natural & soft textures. I just wouldn't be able to keep all that white furniture clean! I hear ya -- lol! I would love a room filled with light-colored furniture, but the thought scares me! Felicity!! I love her understated style - what a beautiful home! Me too, Gloria! Thanks for stopping by! The bedroom is my favorite one I love the cool colors contrasting with the natural wood side table. And the dining room has just the perfect amount of luxury while still keeping the warm and homey vibe. Yes! Such a beautiful mix! Love the open kitchen with the dining space and brick fireplace...so cozy!! Isn't it, though? I love that brick fireplace, too!